"The Quest for the Dream"
The MVBA is happy to announce that Cory Haggerty joins it's baseball training staff. 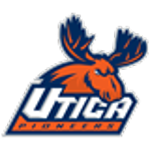 The former Ilion High School standout is an assistant coach at Utica College. At UC Coach Haggerty is the recruiting coordinator off the field. On the field he works with the infielders and hitters. In the summer he also serves as the Head Coach for the Mohawk Valley DiamondDawgs of the Perfect Game Collegiate Baseball League. Prior to Utica College, Haggerty has spent time as an assistant coach at Hamilton College, Eckerd College and his alma mater Cortland State. While at Hamilton Coach Haggerty served as an infield and hitting instructor for the Continentals. The 2017-2018 Continentals earned the most wins in school history with Haggerty’s help. Also during the 2017-2018 season middle infielder Matt Zaffino was named freshman NESCAC player of the year under Haggerty’s watch. In 2016-2017 Hamilton witnessed two of their hitters sign independent professional baseball contracts. At Eckerd College (DII) Coach Haggerty assisted with the hitters and served as the outfield instructor. Outfilder/infielder Nick Hill was drafted in the 26th round by the San Francisco Giants in the MLB draft with Haggerty’s guidance. Haggerty first served as an assistant at his alma mater Cortland State from 2010-2013. During his time at Cortland the baseball team went on to participate in four NCAA regionals and two world series while placing runner-up in 2010. Several players went on to sign professional contracts while at Cortland during Haggerty’s time as an assistant. At Cortland Haggerty was the infield and hitting coordinator. Cortland’s offense and defense ranked in the top 10 in batting average and fielding percentage between 2010 and 2013 during Haggerty’s time there. In 2003 Haggerty was selected by the Chicago White Sox in the 18th round of the MLB draft. Haggerty has played longer (4+) and made it further (AA) than any other professional infielder from Cortland. Haggerty still ranks in the top 10 in several offensive and defensive categories at Cortland. ©2019 Mohawk Valley Baseball Academy / SportsEngine. All Rights Reserved.